The sunny weather, sophistication, spectacular scenery and great outdoor adventures are Brisbane’s irresistible offer to visitors and residents alike. The tours, cruises in the Brisbane River and other joyful activities for the outgoing people and cultural centres, museums, various exploration sites and galleries for those who like to enjoy life but in a more serene and quiet environment make Brisbane a city for all types of people, a hive of activity where one can enjoy themselves no matter what they enjoy doing. This city is diverse enough to cater for all. The booming city of Brisbane is a unique city, and as the most populous in and capital of Queensland, the city has something to offer to most people, from inventive buoyancy and great vibrancy to uncomplicated and rather laid-back lifestyles. The consistent economic growth that is currently dogging Brisbane is ensuring that businesses are booming along with the city. Whatever your business, you can be sure Brisbane has enough economic potential to make pleasant things happen for you. 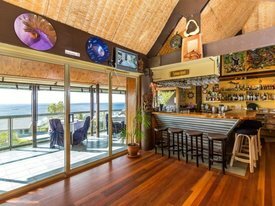 And, if you want a commercial property for lease in Brisbane, you couldn’t be better placed. The current low rentals should be enough to make any potential lessee jump at the chance of leasing a commercial property. The prices are the second lowest in the country’s big cities and this gives anyone renting during this time a heightened ability to save. Such low rentals will surely ensure you have bigger profits to enjoy both the business part and the joie de vivre the city offers. 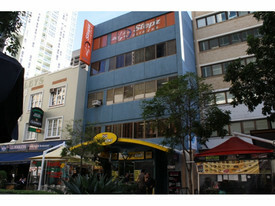 Left side $75,000 gross rent 74sqm approx NLA plus exclusive use seating area Open space with front counter / staff area 2 x cold rooms installed Expansive floor to ceiling glass bi folds creating natural lighting throughout Huge exposure with pylon signage opportunity High profile and convenient location with great access for food deliveries Right side $70,000 gross rent 67sqm approx NLA plus large exclusive use area Grease trap and exhaust Walk in fridge / freezer Stainless steel benches / display cabinets Huge exposure with pylon signage opportunity High profile and convenient location with great access for food deliveries QPP MU1 mixed use zone Please call Your Commercial to arrange an inspection. 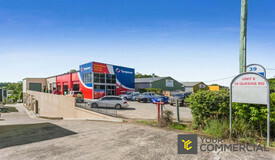 A well presented warehouse with parking and available now. 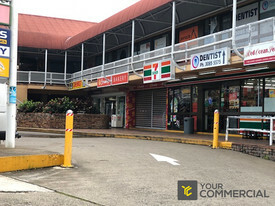 272sqm 2 car parking spaces and plenty of customer parking 40sqm of office space, mostly open plan 2 toilets and good sized kitchenette Mezzanine level Various bus routes nearby on South Pine Road and Rode Road Walking distance to local cafes/coffee shops Please call Your Commercial to arrange an inspection. Prime location in Queensland's largest business park Located at the entrance to Brisbane Technology Park on corner of Logan Road and Brandl Street 2.5 Star NABERS energy rating Excellent access to the Pacific and Gateway Motorways Walking distance to multiple food and beverage providers Plenty of onsite and street parking Close proximity to public transport on Logan Road Close to Westfield Garden City Shopping Centre 15 minute walk to Eight Mile Plains Busway Prime location on corner of Logan Road About The Location: Brisbane Technology Park is the largest and most prestigious business park in Queensland. Originally a Queensland Government initiative established to foster the growth and collaboration between companies in knowledge based industries, the location is now home to over 190 companies employing 10,000 people, with a further 40,000m2 in prime office space to be delivered in the next ten years. Spread over 33 hectares and located at the junction of South East Queensland's three major motorways, Brisbane Technology Park is a 15 minute drive from Brisbane CBD. Approx. Please contact the listing agent for more details by clicking on the link above. Disclaimer: Ray White has not independently checked any of the information we merely pass on. We make no comment on and give no warranty as to the accuracy of the information contained in this document which does not constitute all or any part of any offer or contract by the recipient. Prospective purchasers / lessees must rely on their own enquiries and should satisfy themselves as to the truth or accuracy of all information given by their own inspections, searches, inquiries, advices or as is otherwise necessary. No duty of care is assumed by Orchid Avenue Realty trading as Ray White Surfers Paradise Commercial divisions toward the recipient with regard to the use of this information and all information given is given without responsibility. Office suites available from 190m2 up to 740m2 Choose either tenancy 1 or 2 or lease both Quality presented foyer and modern building facade Ducted air conditioning throughout building Plenty of natural light to most offices Ground floor office suites available now Recently refurbished with new kitchen and offices Inviting common area break out space and modern kitchen area Large balcony overlooking lush bush land Opportunity to sub divide offices to suit tenant requirements Free on street parking directly in front of building Secure undercover and external parking available Within close proximity to cafes and business amenities Walking distance to Eight Mile Plains bus way About The Location: Brisbane Technology Park is the largest and most prestigious business park in Queensland. Originally a Queensland Government initiative established to foster the growth and collaboration between companies in knowledge based industries, the location is now home to over 190 companies employing 10,000 people, with a further 40,000m2 in prime office space to be delivered in the next ten years. Spread over 33 hectares and located at the junction of South East Queensland's three major motorways, Brisbane Technology Park is a 15 minute drive from Brisbane CBD. Approx. Please contact the listing agent for more details by clicking on the link above. Disclaimer: Ray White has not independently checked any of the information we merely pass on. We make no comment on and give no warranty as to the accuracy of the information contained in this document which does not constitute all or any part of any offer or contract by the recipient. Prospective purchasers / lessees must rely on their own enquiries and should satisfy themselves as to the truth or accuracy of all information given by their own inspections, searches, inquiries, advices or as is otherwise necessary. No duty of care is assumed by Orchid Avenue Realty trading as Ray White Surfers Paradise Commercial divisions toward the recipient with regard to the use of this information and all information given is given without responsibility. 97sqm (approx) $600sqm + GST NET 1 car park Currently a restaurant Outside dining Naturally light, air conditioned, private kitchenette and toilet Signage opportunity Conveniently located for foot and car traffic to Gas Works and Homemaker Centres Waking distance to local amenities of Emporium, Gas Works, Homemaker Centres and James Street and to various transport links including train, bus and ferry Please contact Chris or Geoff for more information or to arrange an inspection. Great Location With Foot Traffic And Exposure Daily! Opposite the Calile! This tenancy is located on a prime corner location in the sought after James and Ann Street precincts and directly opposite the new Calile Hotel! 330sqm Flexible use ideal for high quality retail, restaurant, showroom High ceilings 2 allocated car parking spaces On street customer parking Exposure to Doggett Street traffic Signage opportunity Floor to ceiling glass frontage 1.1km to Fortitude Valley train station and even closer to various bus routes 100m to James Street precinct including restaurants, cafes, coffee shops, boutiques and food markets and only 900m to Gasworks Please call Your Commercial to arrange an inspection. 111 m2 office or retail space Marine Industry zoning precinct Air conditioner Separate office Polished concrete floors Owner would consider splitting up space Next door to an established Italian restaurant Open views of Marina waterways Plenty of car parks Located at the gateway to Bribie Island, this property is surrounded with approved development sites and would suit any business in the tourism sector or marine sector. Contact The Commercial Guys today to arrange your inspection. Unless otherwise stated, the price/property may be subject to GST and/or Outgoings. 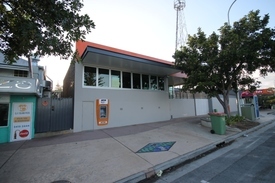 Approximately 75m2 salon Heart of the Fortitude Valley Equipped and ready to use Separate washing area Ducted air conditioning Various office sizes also available if required This is a fully equipped professional hairdressing salon available for lease in the heart of the Fortitude Valley. There are office options also available ranging from 1 room of 49m2 up to a total of 7 separate rooms. There is also a fully equipped commercial kitchen available for separate lease. This is a unique opportunity to take advantage of a fully functional and equipped hair dressing salon in a great location Call now to inspect. 53m2 of perfect retail space in busy precinct Across from Princess Alexandra Hospital & Centro Buranda Enjoy great passing foot traffic and ample customer parking Great exposure and signage Perfect for all sorts of retail Access to grease trap Located in the busy Princess Alexandra Hospital precinct off Ipswich Road, this tenancy is perfect for all sorts of retail businesses. Tenants will take advantage of great exposure to passing foot traffic as well as ample customer parking and the proximity to a huge range of surrounding businesses. Call now to arrange an inspection and take advantage of this brilliant vacancy. 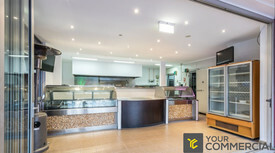 32m2 prime retail shop Fully fitted out with all kitchen equipment Prime Stanley Street frontage with strong pedestrian presence Busy complex anchored by Coles Amongst a variety of commercial and retail businesses 200 residential apartments above Ample underground customer parking Call now for more information!